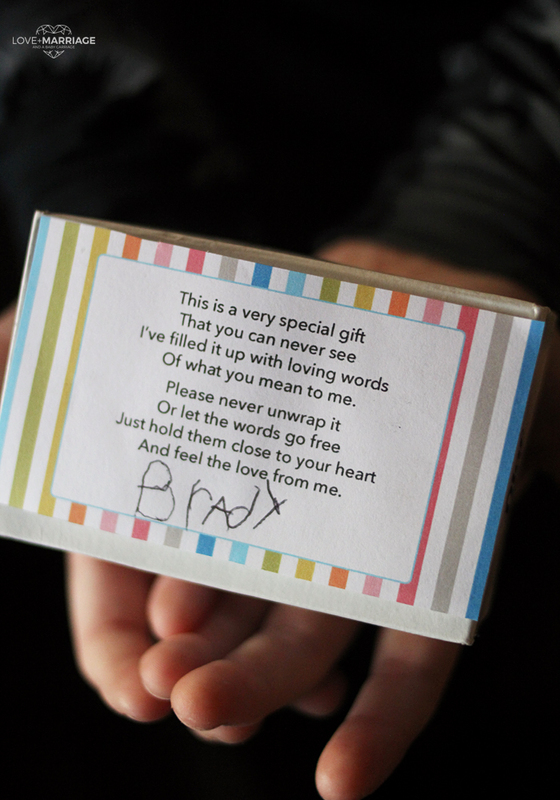 When my baby brother was about seven years old he brought home a gift for my mom. It was an empty soap box with some words printed on the outside. 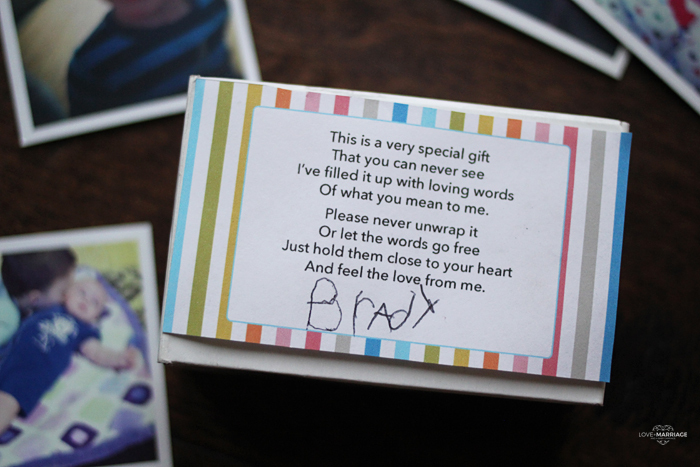 He told her that inside the box he had whispered, “I love you mom.” and sealed it shut. It was so special to her that she has kept that old empty Ivory soap box for the last sixteen years. She adores it and every time she looks at it she can just see him back as a little boy telling her how much he loves her. I searched around for the poem on the internet so I could print it and use it myself but I couldn’t find it anywhere. Who knows where it might have originated from. I asked her to borrow it so I could recreate it and I was told to guard it with my life. I changed the wording a bit from the original copy and have the printable here for you to use. Isn’t it so sweet? You could use it as a classroom project any time through the year, or for Valentine’s, Mother’s Day or Father’s Day. Come hang out with me on Facebook and Instagram!